Murray-Darling Basin Plan: $8 billion spent and still the Coorong wetland is dying | COMMUNITY ACTION ALLIANCE FOR NSW (CAAN): HOUSING INEQUALITY WITH AUSSIES LOCKED OUT! 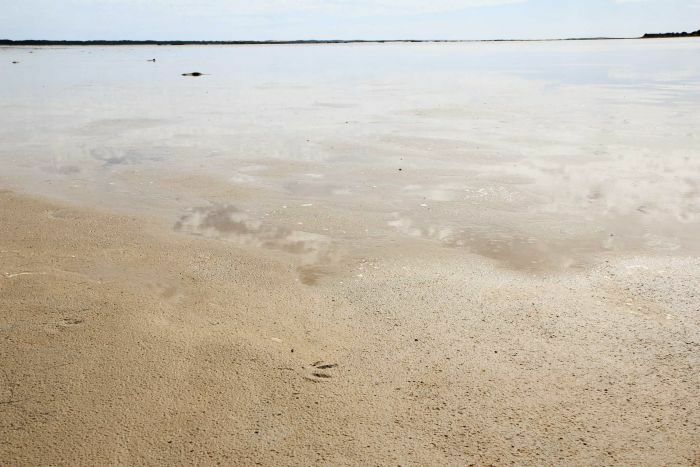 The Murray-Darling Basin Plan is six years in and Australian taxpayers have spent $8 billion on it so far — yet the internationally significant ecosystem at the end of the basin, the Coorong, is dying. Over two episodes, reporter Sarah Dingle investigates serious allegations that the money spent has been for very little environmental gain. The south lagoon of the Coorong lies at the very end of the Murray-Darling Basin in South Australia. It’s salt water, but not as we know it — the south lagoon can be up to three times as salty as the sea. Ecologist David Paton says it explains just how unique this place is: the Coorong gets gradually more salty as it runs more than 100 kilometres from the north lagoon down to the south, and as that happens the biodiversity changes too. “As you come down that gradient the biodiversity changes from being lots of little fishes at the top end, and when you get to the south lagoon there’s just one fish that’s really salt tolerant,” Mr Paton said. “Some people would know it as whitebait, but it’s hardyhead. One fish, one insect and one plant doesn’t sound like a rich habitat, but Mr Paton says it is quite the contrary — this bare-bones foundation can support a huge number of birds. 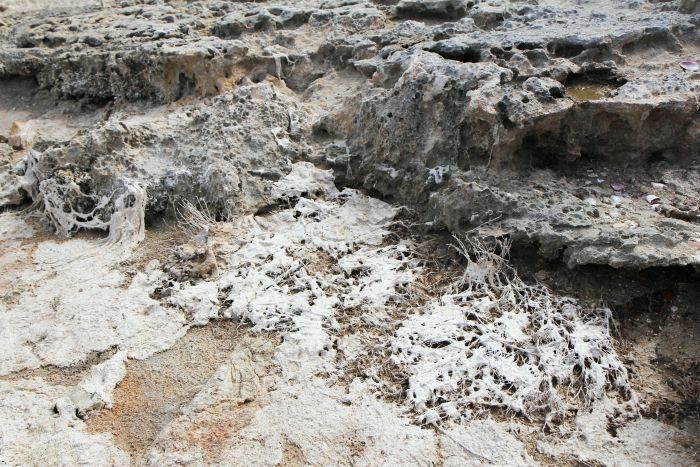 “Salinity has been its natural state for the last few hundred years, and the biota that’s in it clearly likes living in high salinity,” he said. So many birds come here to feed and nest that the Coorong has been declared a Ramsar-listed wetland. The Ramsar Convention is an agreement to protect wetlands of international importance, and signatory countries promise to look after any wetlands within their borders which make it onto the list. 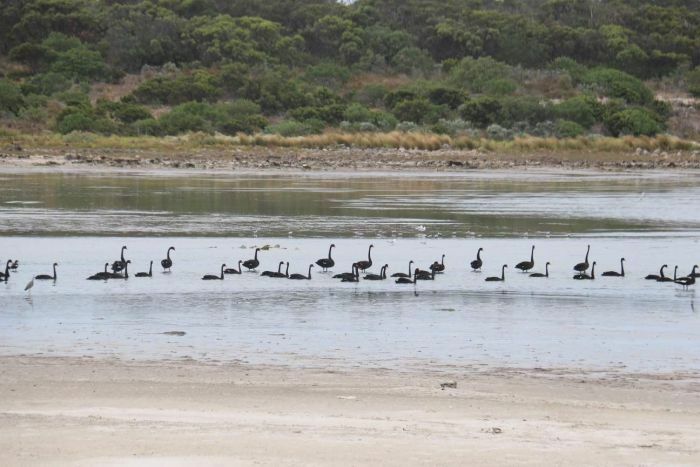 There are 16 Ramsar-listed wetlands in the Murray-Darling Basin, but of all of them, the Coorong is supposed to have the greatest wealth of waterbirds. That includes local species and the all-important migratory shorebirds — birds which fly to the Coorong every year, like the curlew sandpiper. It’s a critically endangered species which travels from Siberia to the Coorong, where it spends the Australian summer fattening up before it takes flight again. The Coorong also has the only permanent breeding ground for pelicans in South Australia, key habitats for other bird species, fish, and even the odd emu wanders down to the shore. The Coorong isn’t just a pretty place with nice birds — it can tell us a lot about what’s going on with the health of the basin. Rivers die from the mouth up, so if the very end of the Murray-Darling Basin system is struggling, that’s not a good sign for what’s happening up river. 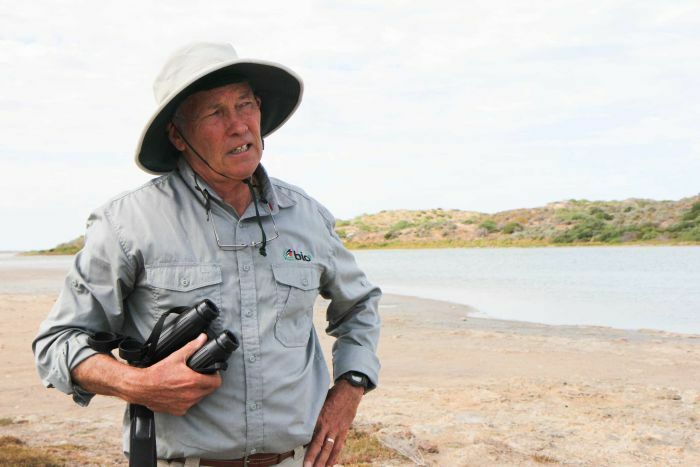 Mr Paton has been collecting bird data here for the past 30 years, but in the last two years, during the Basin Plan, he says the numbers of the shorebird species which make this place so special have hit a record low. The first year was bad — but what really worried Mr Paton was that in the following year, the birds couldn’t bounce back. “It’s the shorebirds in particular which have been really low,” he says. “If this was a healthy system, we would be typically getting 30-50,000 red-necked stints, 20-30,000 sharp tailed sandpipers, and curlew sandpipers, even under normal circumstances, we expect 5-10,000 — that’s just three species. 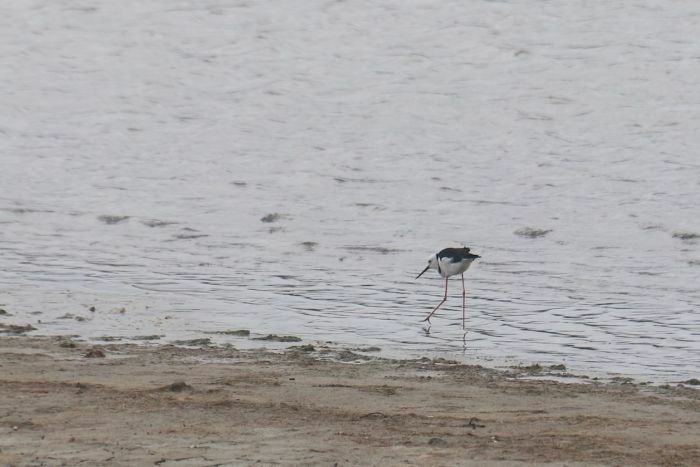 “And then there’s a suite of other things — banded stilts, black-winged stilts, which are an Australian species. So how many shorebirds has he seen in the Coorong in the past two years? “I think we’ve seen 10-20,000 total in the Coorong in the last couple of years, and that’s across all species, not just the few common ones,” Mr Paton said. Last summer’s bird count only registered 968 curlew sandpipers, when they should have numbered between 5,000 and 10,000, he explained. 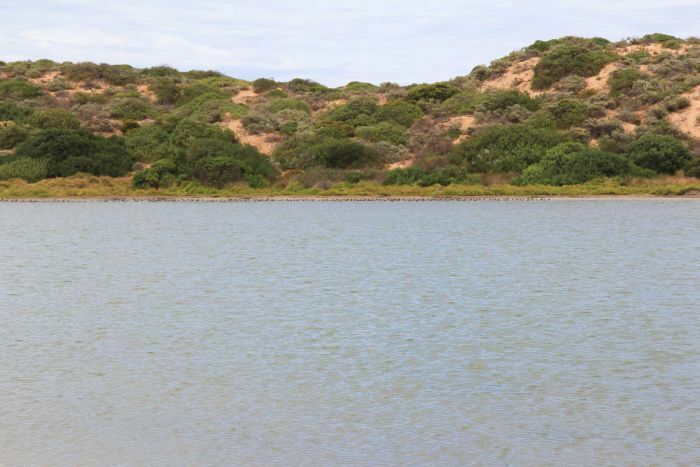 A Background Briefing investigation has come across an internal South Australian Government document — a report on the Limits of Acceptable Change (LAC) — which suggests they are preparing to lose up to 80 per cent of key species in the Coorong. Breaching these limits means making an embarrassing confession to the Ramsar Wetland Convention and to the world. This internal technical report shows the State Government knows the Coorong’s ecology is in real trouble, and on paper it’s already moving to re-frame the situation. The report suggests re-defining the Limits of Acceptable Change for the Coorong, and setting them very low — at “greater than or equal to 80 per cent decline”. It even gets into acceptable numbers of dead birds. So if we look at just one species, the critically endangered curlew sandpiper, it suggests 4,092 birds could be lost from the south lagoon alone and on paper that would be acceptable. Mr Paton says this would be sanctioning system collapse. “We used to have tens of thousands of shorebirds here, you’d see them resting at times, the food base was much stronger,” he said. The South Australian Government has told Background Briefing that this report is not their official policy; it’s more like advice, and it will finalise its new policy sometime this year. An environment spokesperson said since 2015, the waterbird LACs have had further refinements, including further statistical analysis. They said the Government’s policy will come from the updated Ecological Character Description, expected to be completed by mid-2018. Like other parts of the basin, the Coorong has been in slow decline since the 1980s when basin agriculture upstream became increasingly water-intensive. The Basin Plan was supposed to rescue a basin in crisis, and ensure there was enough water to maintain a healthy environment and river system. Despite the past six years of the Murray-Darling Basin Plan and a spend totalling $8 billion so far, there’s just not enough water coming down the river for the Coorong. 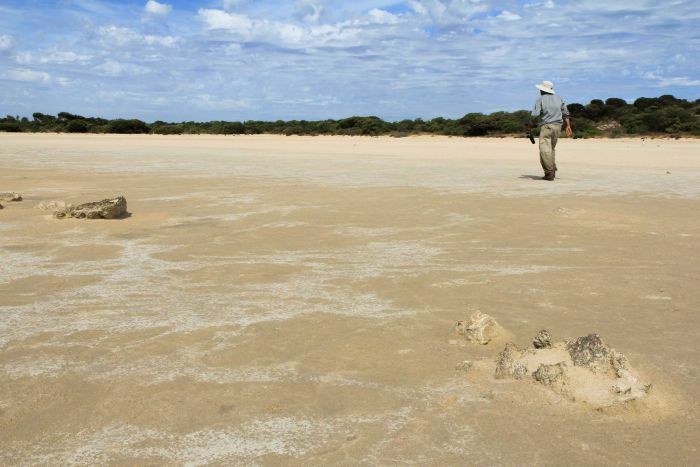 Not enough water means the lagoons of the Coorong can’t function as they normally do. But there’s also a second, big problem. 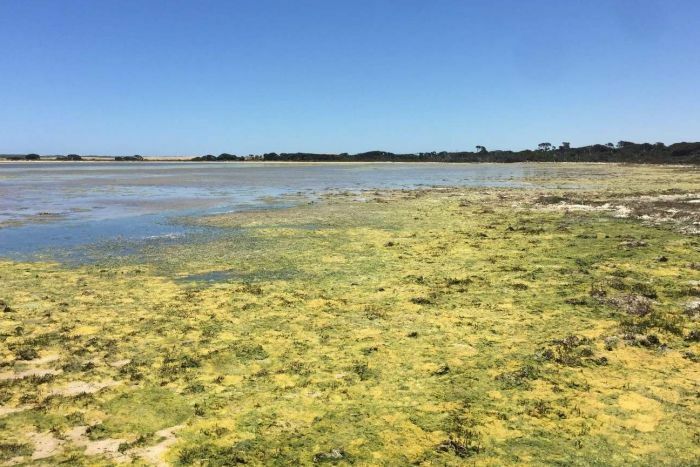 In the last three or four years, the Coorong has had massive algal blooms. The algae blooms over summer on the water, and it catches on the aquatic plant Ruppia tuberosa that lives in the salty south lagoon and rips it out. No Ruppia means no food for the birds. But it doesn’t stop there; the algae has bloomed and died, and now it cakes the shoreline. It stinks, and it forms a bleached white carpet over the sand. Remember that one insect that lives here, the coronomid? It hatches out of the sand, but if there’s a layer of algae, very few of the insects can get through. Most just die in place after hatching. So the birds have no Ruppia tuberosa to eat and also no coronomid to eat — knocking out two of the three major pillars which support this ecosystem. “Little sandpipers, red-necked stints and so on, their numbers have been dropping, but they’re spending up to 90 per cent of their daytime foraging when they’re here,” Mr Paton said. “Any bird that spends 90 per cent of its time foraging in January two months before it’s due to fatten is struggling. The result is what you’d expect: after flying to the Coorong sometimes from the other side of the world, the birds starve to death here. You won’t see them on the shoreline, because the foxes eat the carcasses. But Mr Paton says he realised the truth when he went out onto the little islands of the Coorong where there are no foxes. “You find these dead emaciated shorebirds sitting in amongst the rocks where they’ve died, and sometimes you’ll find 20 or 30,” he said. The south lagoon of the Coorong is normally pretty salty. The South Australian Government has built a drain there, which releases water coming off agricultural land. 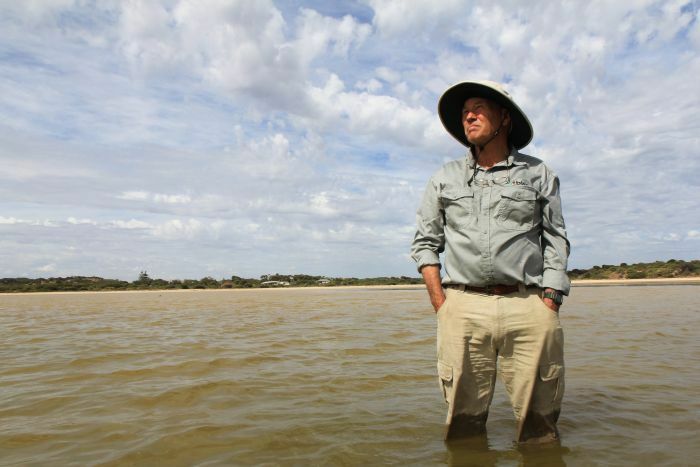 This water is less salty than the Coorong, so it freshens the south lagoon — and because it’s come from farmland, it has a lot of nutrients in it. 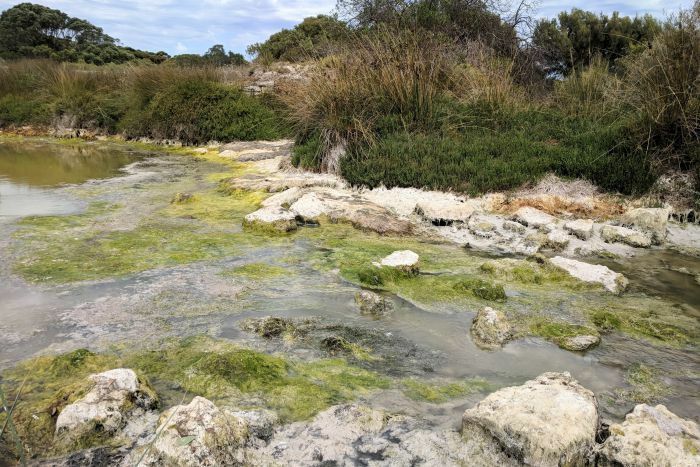 “Everyone’s against the high salinities, so they say, ‘Oh, we’ve got a high salinity problem, we can solve that by putting water in through the south-east in the end of this highly saline lagoon which freshens that end’,” Mr Paton said. This drain is about to expand significantly under a South Australian Government project called the South East Flows Restoration Project, but very soon it could be officially counted under the Murray-Darling Basin Plan. There’s a key vote due to come before the Senate when it sits in May. 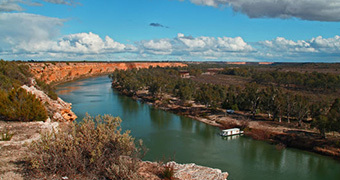 At stake is whether Australia recovers any more water for the environment under the Basin Plan. The states say the basin’s river systems don’t need any more water returned to them. They say they can build engineering structures which will achieve “equivalent environmental outcomes”. The project above that’s adding nutrients to the water? That’s one of those engineering structures. 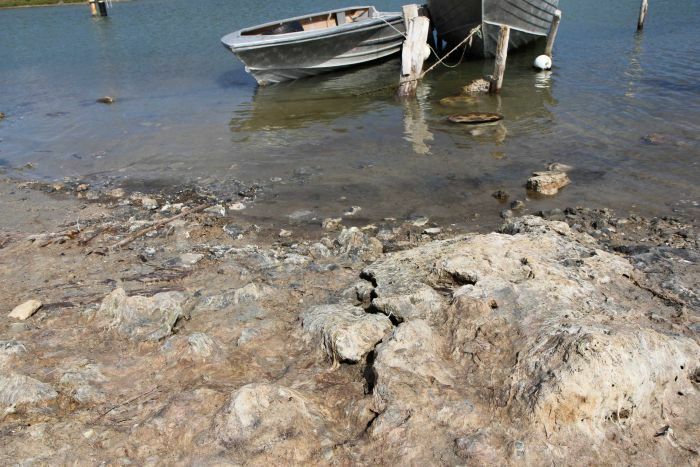 The South East Flows Restoration Project website says to keep the salty south lagoon healthy there has to be between 60 and 100 grams of salt per litre in the water. 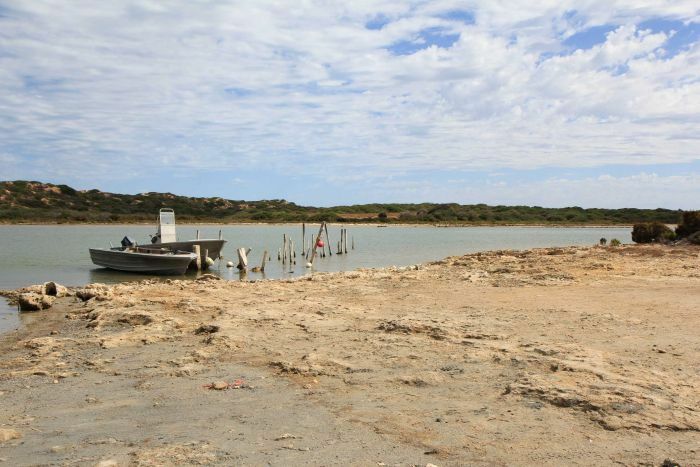 But according to documents released to the Senate, the South East Flows Restoration Project will dump agricultural water in the Coorong when salinity is as low as 60 grams per litre. That level is the very bottom of what even the South Australian Government itself says is healthy. So by kicking in at 60 grams per litre, the drain will take the lagoon out of a healthy range. Mr Paton says that will cause the whole system to crash. “Putting in the volumes that they want to put in is going to cause environmental damage to this system,” he said. It’s going to lower the salinity — it already has in places, so, nutrients and salinity are going to favour algae. Background Briefing asked Mr Paton if the Coorong should be blacklisted by the international community of Ramsar if the South East Flows Restoration Project goes ahead. “Absolutely, it should probably have been blacklisted some time ago, because we were failing to meet our obligations under international agreements,” he says. Background Briefing has a special two-part investigation into the Murray Darling Basin beginning on April 26.